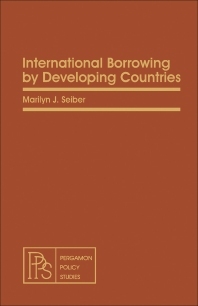 International Borrowing by Developing Countries analyzes the various aspects of developing-country debt. The title covers various concepts such as theory of borrowing, official and private debt, petrofund recycling, and debt relief. The text first deals with role of external capital and debt in economic development, and then proceeds to examining the historical debt experience of the now-creditor countries. Next, the selection tackles the official bilateral and multilateral debt along with its patterns, magnitude, and the procedures and experience of official debt rescheduling. The text also analyzes the private Eurocurrency debt and the official positions on debt relief and reviews proposals for recycling petrofunds and providing new sources of financing. The last part deals with the political factors that will affect external debt, as well as recommendations for future policy. The book will be of great interest to economists, political scientists, game theorists, and sociologists.